A soldier in despair holds up a dead comrade. 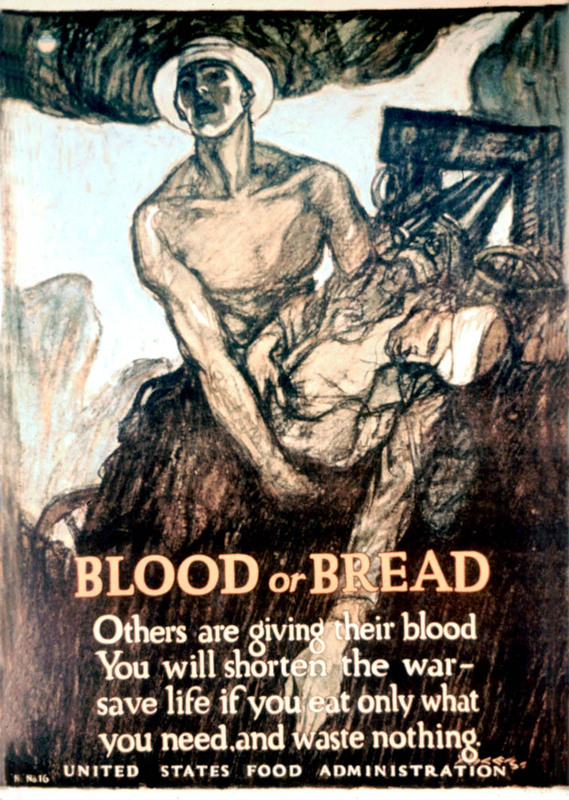 Poster Text: BLOOD OR BREAD / OTHERS ARE GIVING THEIR BLOOD / YOU WILL SHORTEN THE WAR-- / SAVE LIFE IF YOU EAT ONLY WHAT / YOU NEED, AND WASTE NOTHING. / UNITED STATES FOOD ADMINISTRATION.